Megastar Chiranjeevi’s second daughter Srija will marry a NRI from Chitoor in March, after her first marriage ended in separation. “The match was finished a couple of days prior. 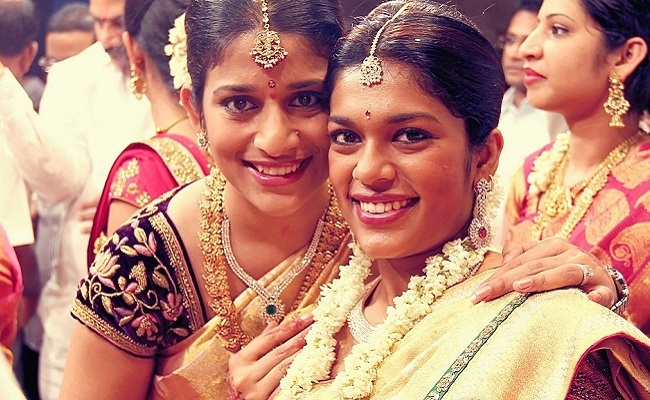 It is with Srija’s assent that her guardians have consented to this wedding, which will happen one month from now. On Thursday (Febvuary 11), Chiranjeevi’s family had a family had a small meeting at his living residence to start the celebration,” a source near the actor told. The family of the bride and groom to be are said to have known one another for quite a while. Chiranjeevi is relied upon to officially make a announcement with respect to the wedding soon. In 2007, Srija, then 19, got married to her school sweetheart Sirish Bharadwaj. The couple has a little girl. In 2011, Srija legally seperated from Sirish, asserting that her in-laws were torturing her for dowery. From that point forward, she has been living with her parents. Look Like month of March is very busy schedule for Chiranjeevi apart from her daughter wedding his much awaited 150th film will go on sets soon. VV Vinayak will direct the highly anticipated message oriented subject with fun full entertainment, the official remake of blockbuster ‘Kaththi’. It will be produced by Ram Charan in association with Lyca Productions.